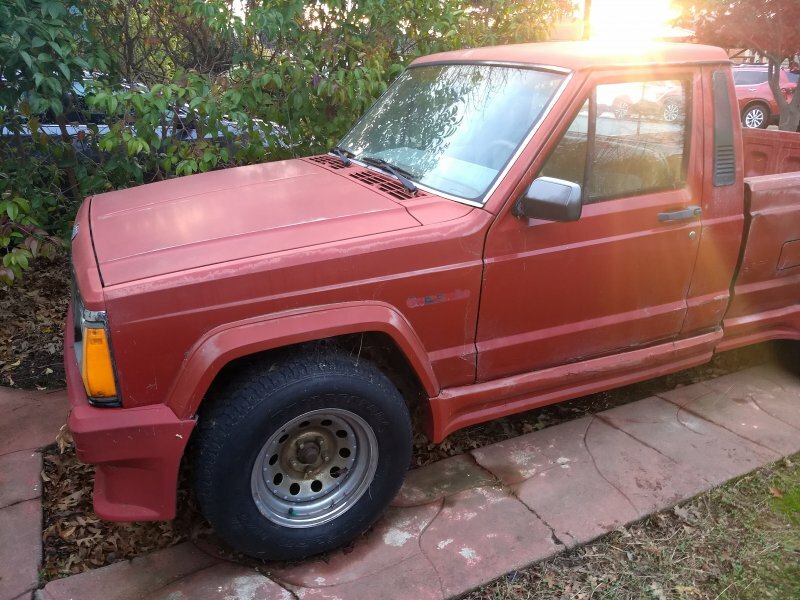 A Street Comanche for sale about an hour from me. From the looks of it (and all the other cars, house, etc in the photo) it's been sitting for a good decade. Not bad though. Somebody better go get it! If it weren't halfway across country I'd snag it. If I was not heading on emergency to my parents' place I would be flying out to California right now. Estate Sale ended Saturday - did anyone snag it? It was still avalible last night when I contacted them. I asked for interior pics but never got anything. 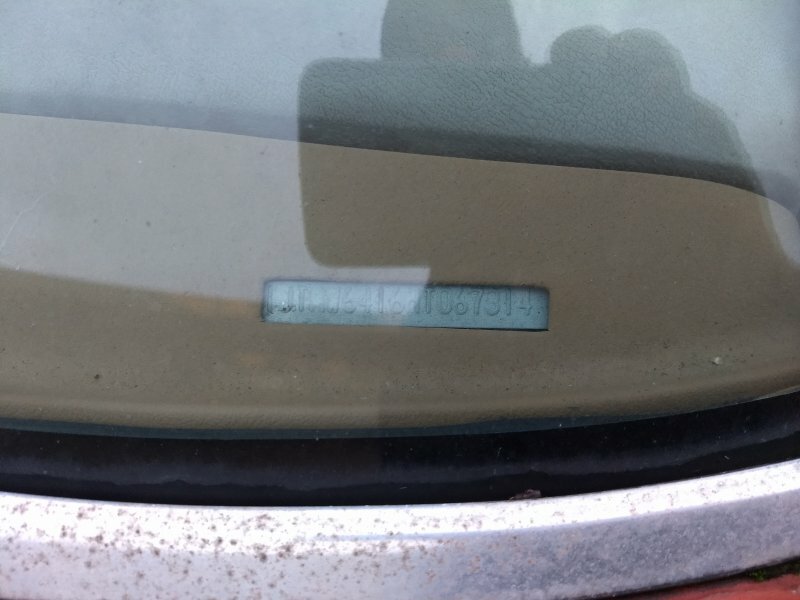 I wanted to try and verify it had a plaque on the dash and post the I do up with all the pictures. I can't buy it unfortunatly. Poor thing. What is the "street" model? I spoke to the estate broker and apparently someone was coming by to look at it and very interested. No idea if that is true or not. They also don’t know the last time it started but believe it has been sitting for a good 5 years. It is number 7 of 100, has tan interior which is thrashed. Has 109 miles on the odometer. Folks says it was fired up a few weeks ago. But they are set at 2500 for it. I was telling the estate folks that if you can't get this running. 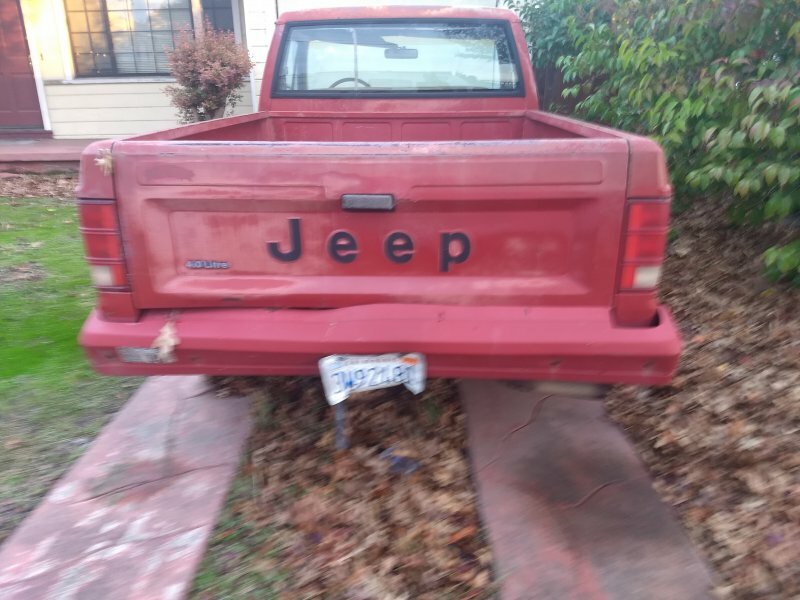 It is looks pretty beat up the rear bumper is jacked up which does nto allow the tail gate to drop completly down or open. 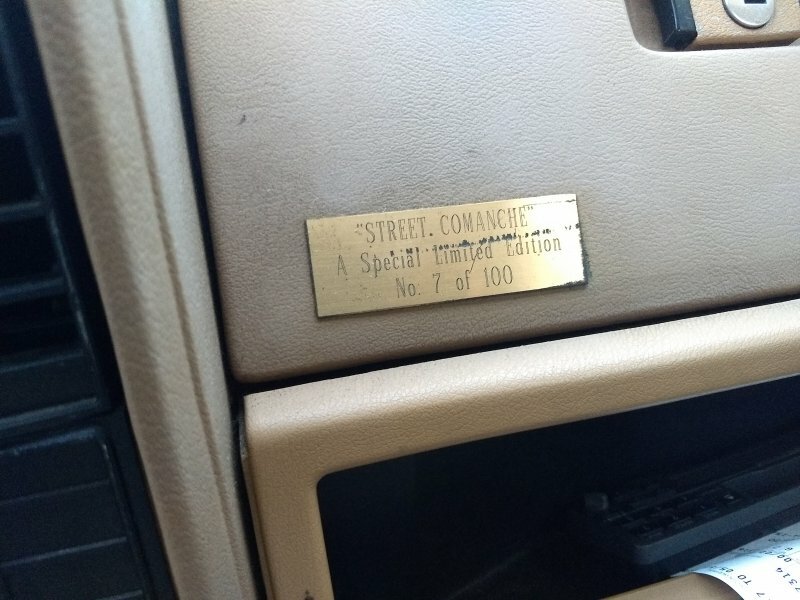 Funny thing these street comanches were produced in California but walking up to it I noticed a faded dealer sticker on tail gate showing it was at New Mexico dealership. Hummmm. 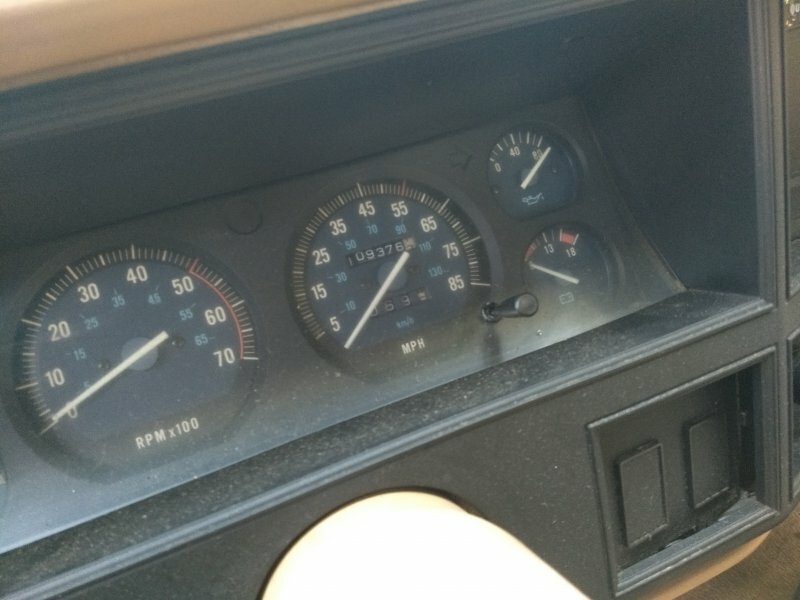 For the seller asking/demanding 2500 for it, I believe in the condition it is in and don't even know it will pass smog, I would think no more than 500 for it. The license plate showed it was registered up to 2017 so there are past registration fees if it passes smog. Does it still have to pass smog it being as old as it is? We have something similar in Chicago, but cars older than 97 are excempt. It would have to pass smog in CA. I believe 1973 is the cut off. Guess we just need to get it out of crazy Cali. That thing is going to take a ton of work. Probably near a complete overhaul. I agree, no more than $500. No offence to the people in The Richmond area, but it is a less affluent section of the East Bay. I doubt it was given a lot of TLC and would think passing smog is the least of worries with this beast. The back fees could be paid and put it on Non-Op, then transfer can be done without a smog. Then it would need to be trailered, which might be a good idea anyway. Did they pop the hood for you? The more I look at the pics, the more unsure I am that I even like the body kit. Unless someone is thinking of Bonneville... Having a truck that bottoms out the body on a driveway could be real a bummer. As much as It would be great to save her, I wouldn’t get into this project without deep pockets and a solid game plan. Thanks for taking a look for us Shharks. I was wondering about it. but walking up to it I noticed a faded dealer sticker on tail gate showing it was at New Mexico dealership. Hummmm. I'd guess it was on a used car lot at one time. Stopped and took a few pictures today. 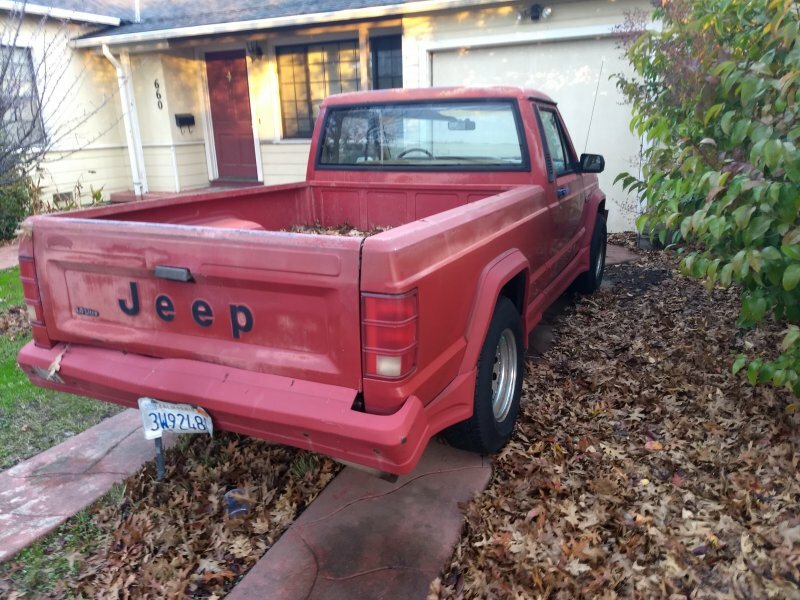 After looking it over it should not sell for more than $1000, not many straight panels at all, but they may find someone to pay the asking price of $2500. Thanks for taking pictures of it. I couldn't get the lady to send me pics for her life. 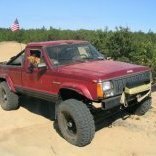 I'll pay 4 street comanche ground effects. I'm missing pieces surrounding rear wheel wells both sides. I've got enough remnants 4 3D copies . Wanted 2 check here first. Rather give CC members money before. 404 461 8462 I might have hit the lotto with this truck. Father tried 2 give 2 me but I was thinking 87 base never seen anything like it. 3D copies you say? 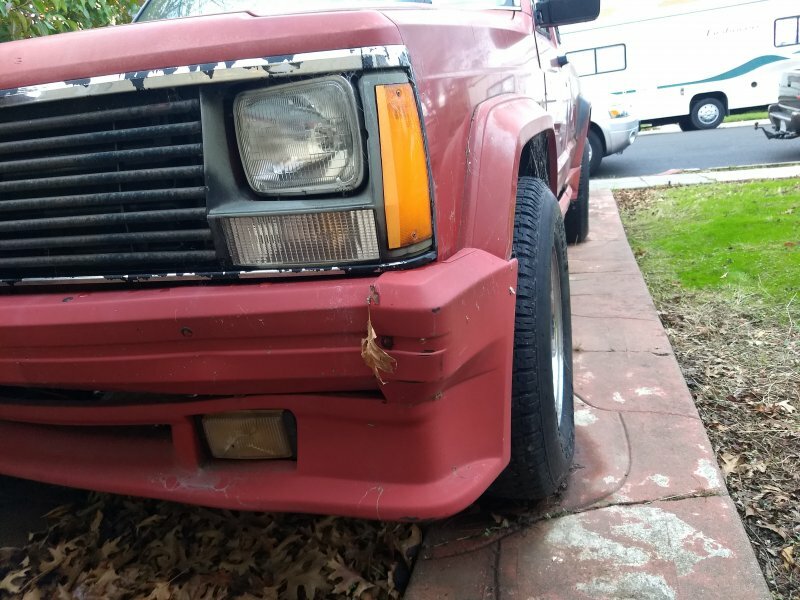 You have the ability to 3D print the front air dam?? If you find any, the'll be used. These are made of unobtainium at this point. They were inject molded for Archer Brothers Racing out of Duluth MN and then sold off to the dealership in CA that put together the 100 trucks. There were a small amount of NOS parts still sitting on shelves a few years ago... all except the one piece on the driver side right behind the cab. I picked up the last set they had. They sat around as I didn't know what to do with them but knew they couldn't sit around on a shelf anymore. Then a few months ago I sold what I had to the owner of #24 as he's doing a full restoration. Good luck with the search. It'll definitely be a tough one.